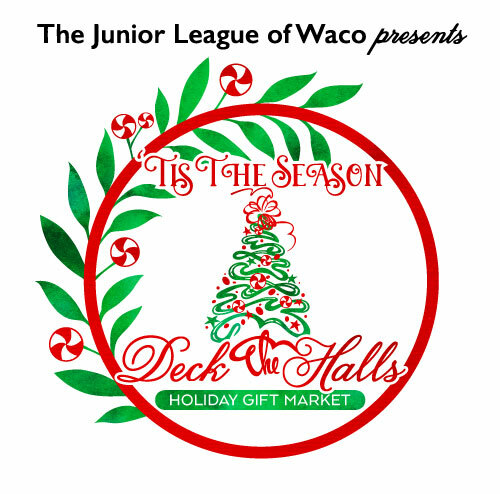 The Junior League of Waco is pleased to announce plans for the thirteenth Annual Deck the Halls Holiday Gift Market, “‘Tis the Season” held November 1- November 4, 2018. The Junior League of Waco is focused on building better communities through our key impact area, Early Childhood Education & Development. General Market Shopping: 10 am – 4 pm. $10. Get your Christmas gifts from a variety of hand picked vendors. Pictures with Santa: 2:30 – 4 pm. Don’t forget to get your pictures with Santa! Mother-Daughter Tea: 12:30 pm – 2 pm. $30. Wear your loveliest tea party hat and join us for delicious sandwiches, sweet treats, and teas. This favorite mother-daughter Christmas tradition features special entertainment and a guest speaker. Assured fun for mothers, grandmothers, daughters, sisters, aunts and friends of all ages!